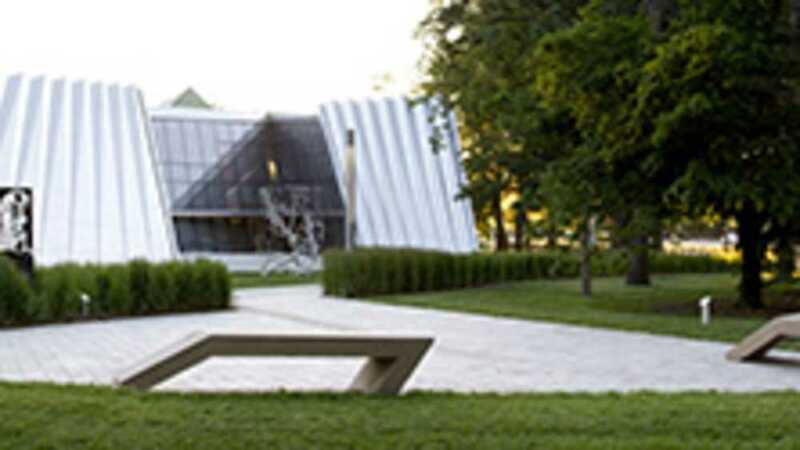 The Eli and Edythe Broad Art Museum is the art museum of Michigan State University. Also an engaged public institution, the Broad MSU is a contemporary museum devoted to the exploration and exhibition of significant art from around the globe. This international focus is also supported by the contextualizing of contemporary art within the history of art by virtue of our historical collection. The Broad MSU is a place where artists’ ideas, words, and actions create a vibrant center for questioning and understanding the modern world. Dedicated to experimentation and study, the Broad MSU is a laboratory for the new, grounded in a deep appreciation for the historical. With a historic collection containing objects from the Greek and Roman periods, through the Renaissance, and on to the Modern, the Broad MSU is unique among contemporary art museums in its ability to frame the broad range of contemporary art practices within a firm historical context. Designed by Pritzker Prize-winning architect Zaha Hadid, the museum features a striking facade of pleated stainless steel and glass, signaling the museum and the university’s dynamic vision. More than 70 percent of the 46,000-square-foot facility is dedicated to exhibition space. The museum is named for Eli and Edythe Broad, longtime supporters of Michigan State University, who provided the lead gift for the museum. Admission is free save for some special events.